After Indrani Mukerjea's arrest in the Sheena Bora murder case, many questions remain unanswered. 1. Why would Indrani Mukerjea kill her own daughter? What was her motive? 2. If Indrani claimed that Sheena had gone abroad, who then filed the missing person report about Sheena Bora? 3. If Indrani was unhappy with Sheena having an affair with Peter Mukerjea's son Rahul, why did she kill her and not Peter's son? 4. If Indrani claimed that Sheena was abroad, how did she establish her presence there? 5. How come Peter Mukerjea did not think something was amiss in the last three years? 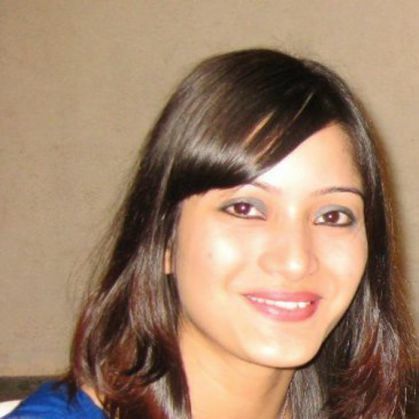 Did Sheena never call Indrani? Did Peter Mukerjea never inquire about her well-being? 6. When did the police establish that the body found in Raigad was Sheena's? 7. Were two bodies found at Raigad -- one three years ago and one now after the driver's confession? Which one of these is Sheena's? 8. If the body found in Raigad had burn marks then where was it set on fire? 9. Did Sheena Bora die of burns or had she already been murdered? If so, how was she killed? 10. Was the missing person report about Sheena Bora filed before the body was found in Raigad or after? If it was later, when was it filed? 11. Who tipped off the police about Indrani's driver Shyam Rai possessing an illegal weapon? 12. Why did the driver suddenly volunteer information about Sheena Bora's murder and his role in it? 13. Was the driver acting alone or did he have other accomplices? 14. How come Peter Mukerjea didn't know about Indrani's previous marriages? 15. If Peter Mukerjea had been told by his son that Sheena was Indrani's daughter, did he confront Indrani with this 'rumour' and what was her response? 16. Why did Mikhail Bora (Sheena's brother) who has now claimed to "have no doubt my mother Indrani killed my sister Sheena Bora" keep quiet all this while? Why didn't he raise his voice earlier? 17. What does Mikhail Bora know that the police does not? Will he be questioned to establish the basis of his suspicion about the murder? 18. If Indrani and Sheena had a falling out, what was the issue? 19. Why are Peter Mukerjea and Indrani's son Mikhail Bora giving media interviews when they should be talking to the police? 20. Did Sheena have a will and who would have been the beneficiary if after seven years of being missing she had been declared dead?